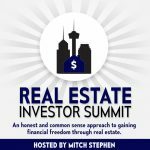 Bill Young has started and ran small businesses since his 20’s (he’s 65 now), and has studied with many real estate investors during that time. Bill met Mitch in 2006 or so at the San Antonio Real Estate Investors Association when he was living there. Not long after that, the real estate bubble burst, and he was not positioned to buy properties in the down market that followed. He returned to his second home in Baja California, Mexico for the next few years and just returned to Texas a couple of years ago. 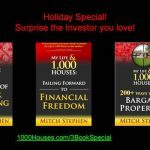 Bill knew It was time for me to get involved in real estate investing, so he contacted Mitch to get involved in his mentoring program. 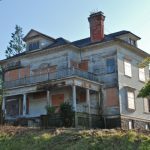 In February 2016 he sold some assets and bought 4 houses that he began rehabbing. 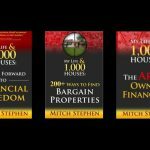 He learned many lessons the hard way as to why Mitch encourages people to buy livable houses at low prices and resell them without doing any, or very little work on them. He still has three of the original 4 houses that he is trying to sell, but in the meantime he has bought one house with private money and resold it for twice what he paid for it- without doing anything to it! 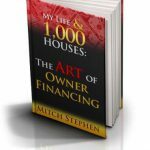 He is now a complete convert to the owner financing way of real estate investing.